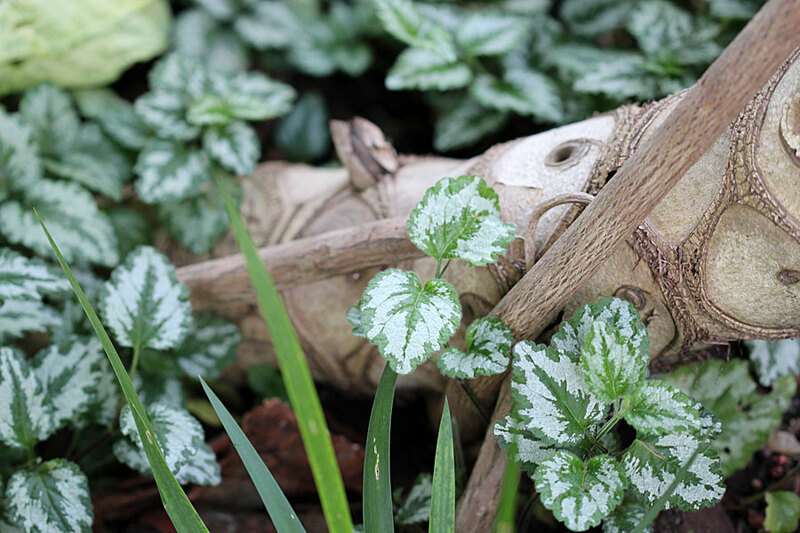 My favourite ground cover for shade is Lamium. I love the texture of the leaves (soft and a little furry), I love the colouring and I love how undemanding it is. Unlike other ground covers (for shade) that I’ve tried before, Lamium keeps itself neat and tidy. Regardless of the weather it always looks perky and fresh and as well as it does in shade, it also does well in the sunny areas of my garden. 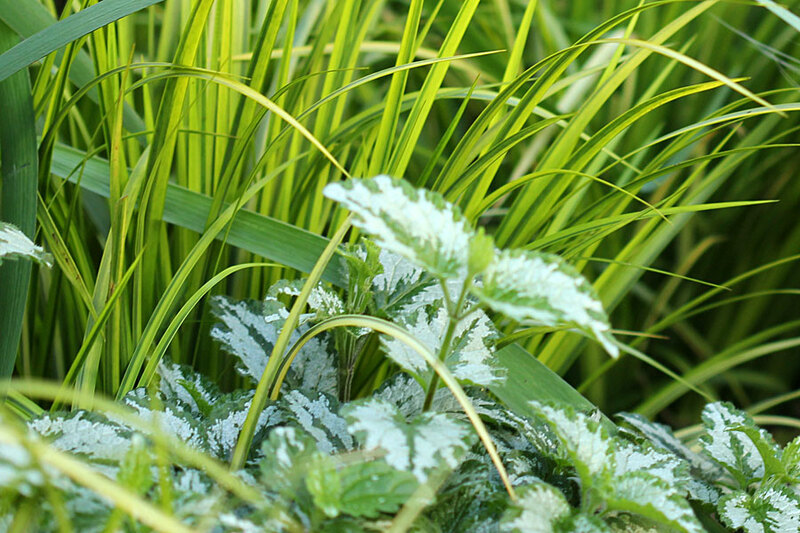 Bugs seems to ignore it and the variegated leaves brighten up deep shade areas and provide a lovely contrast against the other foliage. 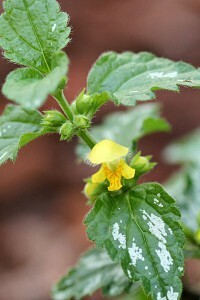 It spreads itself well by stems rooting as they grow along the ground, but it is not that fast growing that one can call it invasive – in fact, it took its time getting going. 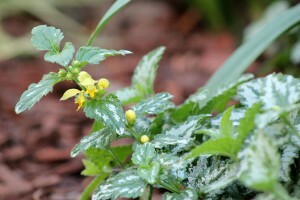 It’s a great ground cover (for me) and I love this easy plant. The variety I have is Lamium maculatum, “Beacon Silver”. If you do an image search on Google it comes up as having tiny, insignificant pink flowers. 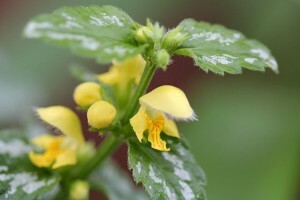 We first planted the Lamium in June 2010 so it is now in its 15th month in my garden and I’ve never seen it flower. All the literature hardly mentions the flowers so I wasn’t expecting any. I had in fact forgotten that it might at some stage produce flowers. 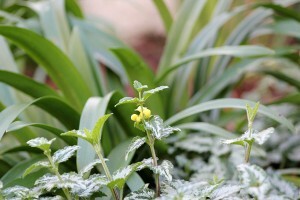 So it was a great surprise today to find that one section of the garden has Lamium flowering! Even more of a surprise is that the flowers are not pink, but tiny little yellow flowers. They are really small … if I hadn’t bent down to remove some weeds I would probably have missed them. They are very cute and were lovely to photograph. The “flowering” Lamium is in a fairly sunny position and I think I fed it recently when I fed the flowering plants around it which might have precipitated the flowers. Whatever, I think they’re kinda cute. How pretty is that? 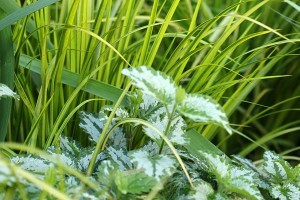 Funny how the non-fussy plants become a true friend in the garden. So hope it doesn’t get too thuggy! 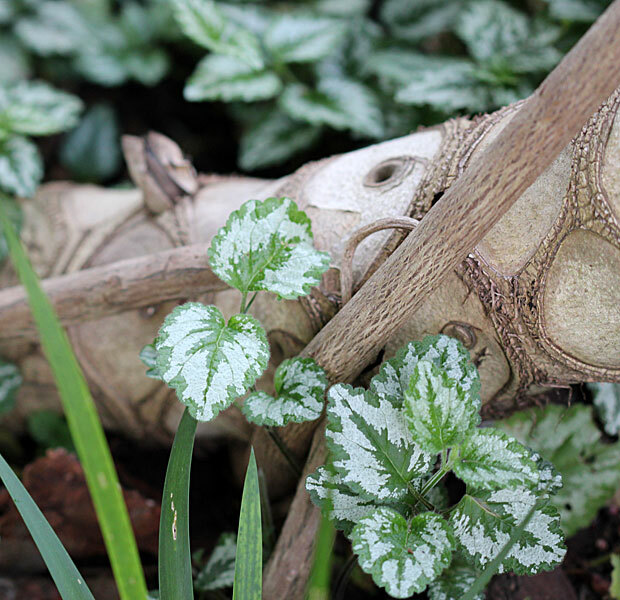 We have Lamium “Beacon Silver” in our woodland and I’m sorry to say, it is a thug! Each spring I let it flower because it is so pretty, and then I pull at least 1/2 of it out. By the following year it is back the same again.Have to admit it is good for dry shade under trees where nothing else will grow. 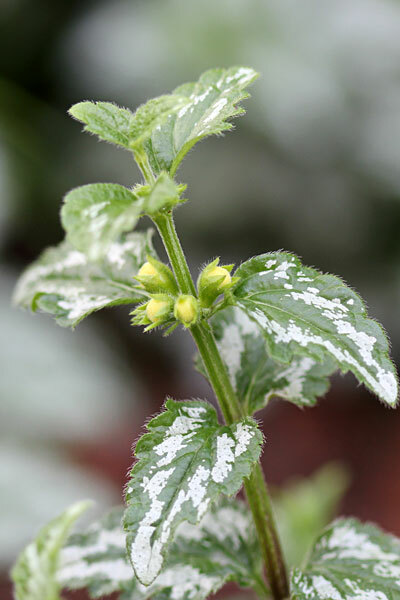 Christine, we have the mauvy-pink flowering lamium and a white flowering one. The pink one is fantastic – once it really starts flowering, you can hardly see the foliage. The white one is not as tough and only grows slowly for me, but I love it too. The only yellow-flowered one I know is a real thug and I would never plant it, but yours may be a different variety. What a pleasant surprise! 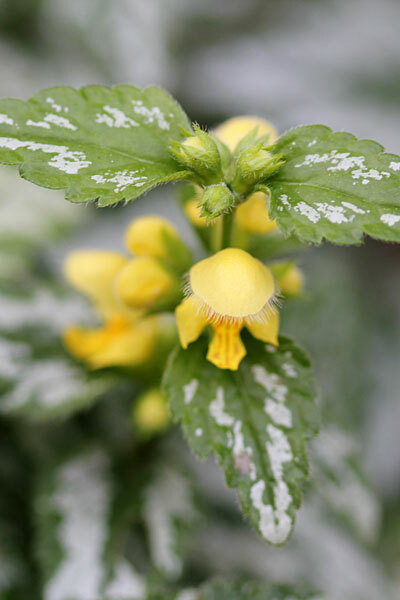 We have a Lamium with a similar looking flower but a larger leaf and habit called Hermann’s Pride. It is sort of a thug, but we love that flower form.